The following post is sponsored by Shark®. All opinions are my own. Good afternoon! Happy Sunday! Boy do I have a fantastic surprise for you all! Next month I am celebrating my 4th year blogging! Can you believe that? 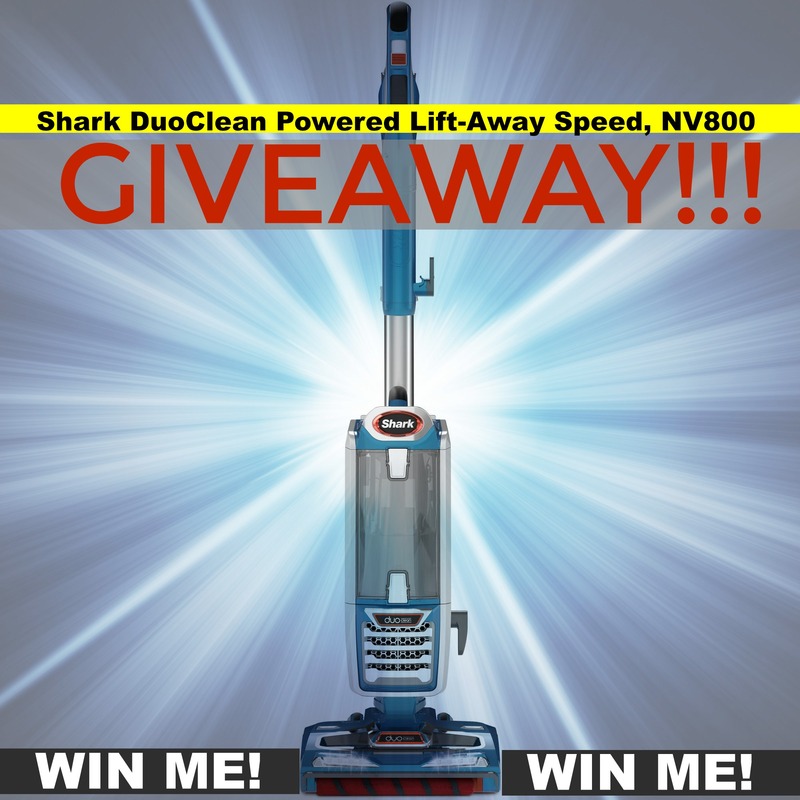 To celebrate, I am partnering with Shark® to host the biggest giveaway I have ever done! 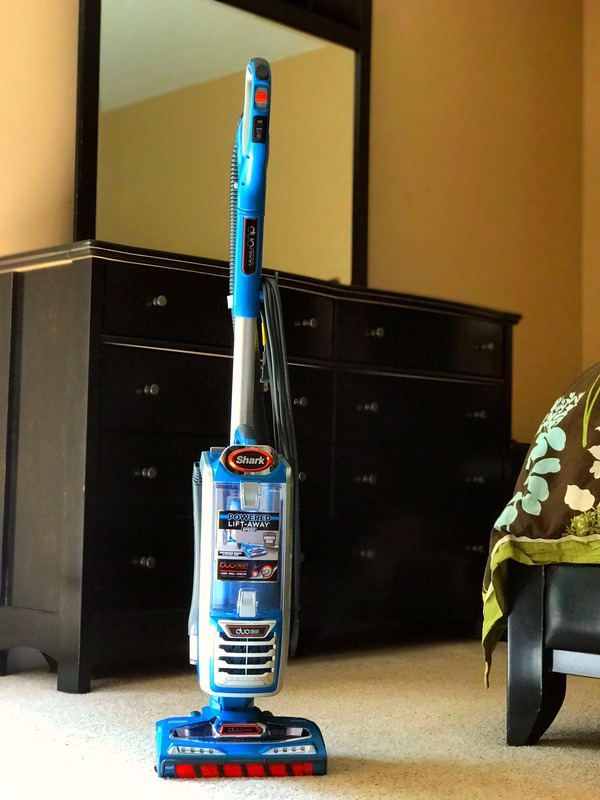 First I have to tell you how and why this came about and all about this amazing vacuum! First of all, my old vacuum, I bought used at a thrift store. It was a STEAL for 10 bucks and It was actually a very good vacuum (even used!) and it held up fine for several years. Fast forward until 2 years ago when we got our dogs. Oh my goodness the dog hair is ‘FUR’ REAL! The past 6 months or so it just seemed like gradually our vacuum was doing a worse and worse job picking up anything. I reached out to Shark® to see if they would want to partner with me and was absolutely THRILLED when they emailed me back and said yes! You guys. They sent me one to review AND one to give away to one of you!!! There are NO WORDS for how good this vacuum works or for how absolutely FILTHY I found out my carpets were the first time I used it. I am almost embarrassed to show y’all this picture but I have to in order to show you how well it works! When I used it for the first time. I vacuumed my entire bedroom with my old vacuum first. Then I used the Shark®. The dirt, dust and hair in the photo above is how full the canister was after vacuuming HALF of our bedroom! OMG! I ended up having to dump the canister two times just in our bedroom alone. The carpet even FELT softer and fluffier when I got done. From all the research I had done, all the reviews I had read and word of mouth recommendations, I KNEW I was going to love it. I was prepared to love it and yet I still was blown away at the amount of suction this vacuum has. It can handle all of our dogs fur with NO PROBLEMS. It also works amazingly well on our hardwood floor too. It is SO lightweight and easy to use. Even my 7 year old likes using it! It is so easy to maneuver under and around furniture. The light in front REALLY IS very bright! Trust me, you can see ALL THE THINGS! The first few times I used it, I was having to empty out the canister a LOT but that was just because my old vacuum was so bad and it had tons of dirt, hair, fur and DUST to get up. Now that I am using my shark daily. (yes, daily because #dogs), I only have to empty the canister once or twice a week. Not bad. 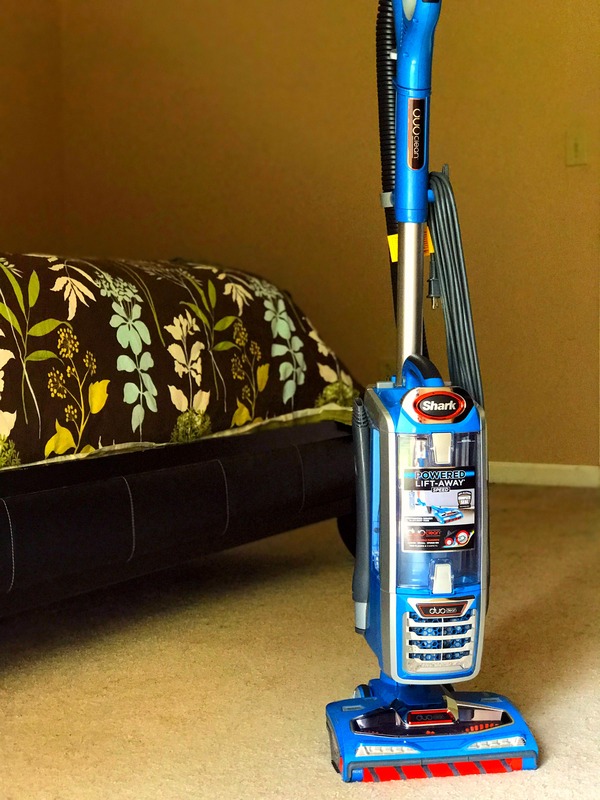 I can not recommend this vacuum enough and I am so excited for one of you guys to win one! There are 3 ways to enter to win! You can leave a comment on this post, and also check out my facebook and instagram for ways to enter there! Winner will be announced Friday, August 18th! Congratulations to our contest winner: Brandy Bullock! Send me a message and I will get it out to you ASAP! This post is sponsored by Shark®. All opinions are my own. I so want to win this vacuum!!! Awesome review!! I’ve heard great things about it!! Omg I can’t believe how powerful this! For such a small vacuum I would think it would be a low power one but when i saw how much dirt it picked up i was shocked! I would love to win one! Having two boys two dogs who’s hair is everywhere and dark wood floors are such a hassle! Great review! It will make people want to buy it for sure! I have four dogs this vaccume would be great. I would love to win! I’m a long arm quilter and I NEED something like this in my quilting studio! Thanks for the review and the opportunity to win. Wowza! This thing sounds magical! Lol Seriously, how amazing to be able to feel the difference?? I have a house full of fur babies plus a busy in and out house so can you imagine how many times I would have to empty the first use?? Lol. Thank you for a fantastic opportunity! Entered on IG and fb! This vacuum has a very unique look to it. It has the shape of a bagged vacuum but without the rounded look of a traditional vacuum. With 2 shelties this is the vacuum I need! Since I need a new vacuum I have been really checking out the different brands. Shark is one of the best ones out there. This one with the front looks like a real winner. 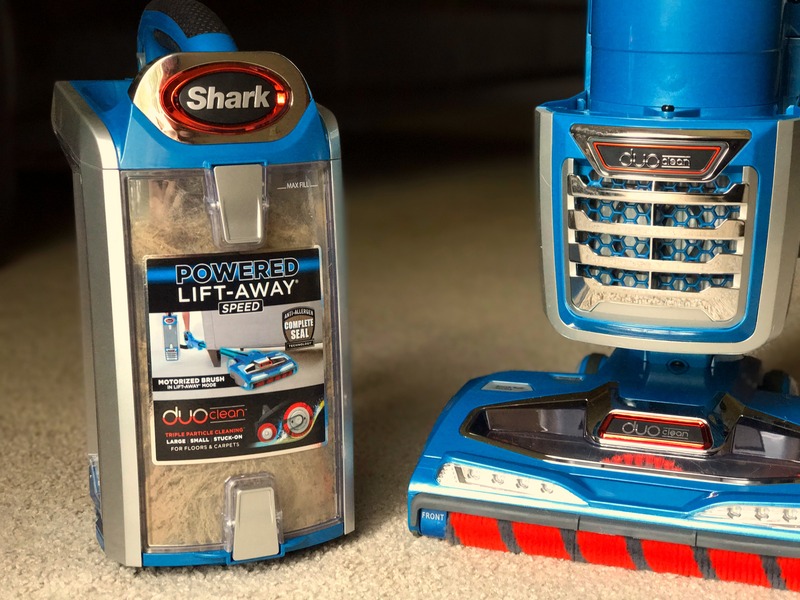 My mom was recently singing the praises of her Shark vacuum; it seems she is not alone in her love! My vacuum recently broke so my fingers are crossed that I win this. This is an awesome thing for you to do!! Love the article!!!! Keep giving us those great recipes!! I am new to your webpage and what I have seen, I love it. Not only do you have amazing recipes, you look to also give away wonderful gifts. This giveaway you are posting would be something I very much would like to win. Would absolutely love to win this vacuum!!! In need of a new one anyways! We have a Jack Russell and boy does she LOVE to shed. Good luck to all that have entered! And thank you, Brandi for the chance to win! I need this for my college age granddaughter…..she won’t have to take mine or her Mother’s. Could certainly use with 2 Goldens!